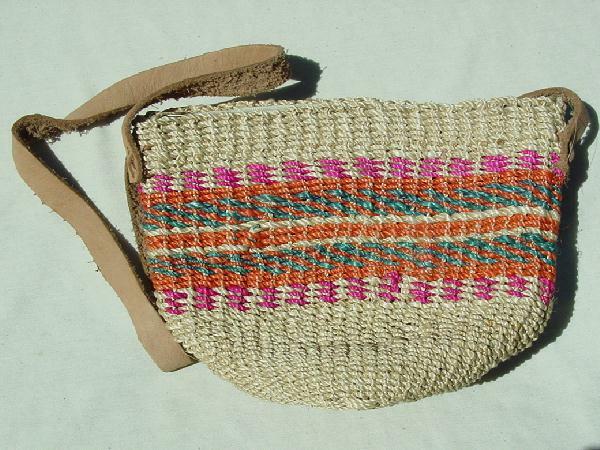 This vintage woven twine shoulder bag has a light tan leather shoulder strap. The twine is in a straw-wheat color with accents in melon-rust, magenta, and persimmon. It belonged to a South African model. She doesn't carry a purse anymore.